The U.S. Army slipped this release in over the weekend on the new Army Physical Fitness Uniform. Master Sgt. Lewis is back in the mix modelling the new Running Jacket and Pants, along with the Black Microfleece Cap. There will be a Clothing Bag variant, and the Optional APFU, with an initial release coming in the Spring of 2015 and mandatory wear by the Fall of 2017. Below you will find the complete release on the new APFU. 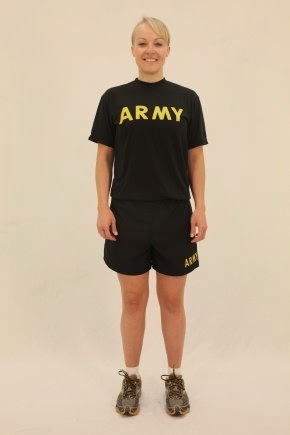 WASHINGTON (Army News Service, Aug, 9, 2014) -- A new Army Physical Fitness Uniform, or APFU, will become available service-wide, beginning in October next year. 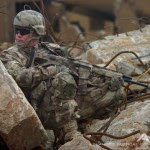 Its design is based on Soldier feedback, said Col. Robert Mortlock, program manager, Soldier Protection and Individual Equipment, Fort Belvoir, Virginia. There's a three-year phase-in program and the cost will be about $3 less than the current IPFU, or Improved Physical Fitness Uniform, he said. The APFU program was actually initiated because of Soldier feedback. A February 2012 Army Knowledge Online survey of some 76,000 Soldiers found that Soldiers had issues with the IPFU, he said. They liked its durability but believed the IPFU's textiles had not kept pace with commercially-available workout clothes. They also had concerns with other things, particularly modesty issues with the shorts, especially in events like sit-ups. Those concerns were expressed by males as well as females. The issue was of such concern that Soldiers were purchasing spandex-like under garments to wear beneath the trunks, Mortlock said. Another issue was that there were not enough female sizes in the IPFU, he said, meaning IPFUs that would fit all shapes and sizes. 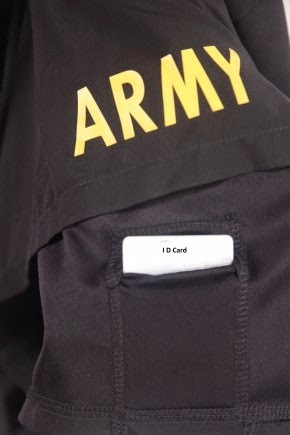 PEO Soldier worked closely with the Natick Soldier Research Development and Engineering Center to develop a new PT uniform that met Soldier concerns but did not cost more than the IPFU. The APFU met the goal of controlling costs and improving performance by adopting lighter high tech moisture wicking fabric. The APFU introduces multiple sizes, including female sizing, and has solved the modesty issue, Mortlock said. The fabric of the trunks will continue to be made with durable nylon fabric, but it is lighter than and not as stiff as the IPFU trunks. Also, there will be a four-way stretch panel inside the trunks, sort of like bicycle pants, which eliminates the need for Soldiers to purchase their own under garments. The trunks include a bigger key pocket and a convenient and secure ID card pouch. The APFU has five parts: the jacket and pants which resemble warm ups, trunks or shorts, and the short- and long-sleeve T-shirts, he said. 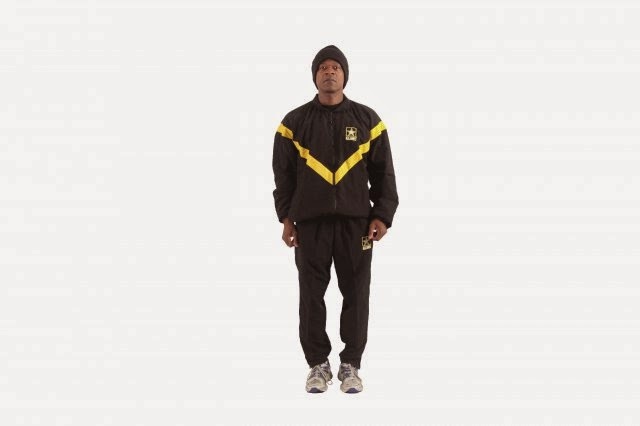 The ensemble is modular; meaning parts of the APFU can be mixed and matched, for example, short- or long-sleeve T-shirts with the pants or trunks. During PT formations, the platoon sergeants will determine the appropriate combo. Soldier feedback not only determined the form, fit and function of the APFU, it also determined its look. The Army made prototypes of the APFU in a variety of colors and designs and taken to a series of Soldier town halls at Fort Hood, Fort Bragg and Joint Base Lewis-McChord. Soldier feedback was solicited about the design features as well as the preferred color scheme. Then, the Army launched a second AKO survey, in which more than 190,000 responded, Mortlock said. 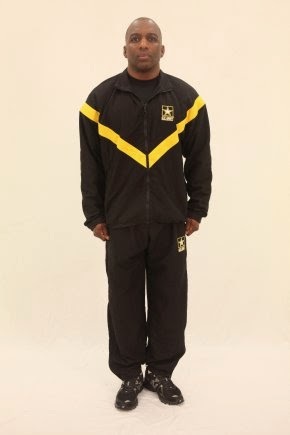 Soldiers overwhelmingly favored a black T-shirt with gold lettering and a black jacket with gold chevron and the Army logo. Then it was on to testing. About 876 Soldiers at Fort Wainwright, JBLM, and Forts Bragg, Sill, Hood and Jackson wore the APFU during PT for a three-month period, providing feedback on form, fit, comfort and so on, Mortlock said. The APFU also was tested for things like durability, laundering, fiber strength, color fastness and color maintenance after laundering. A key part of testing addressed the concern of some Soldiers that a black shirt may cause over-heating. Instrumented tests showed that the lighter weight material and superior moisture-wicking fabric more than compensated for any increased heat from the dark material. The response to the APFU was "overwhelmingly positive," he said, particularly with the trunks. Not only that, Soldiers said they wear the APFU on weekends and off-duty outside the installations, Mortlock said, adding that many said they wouldn't wear the current IPFU off-duty. That means communities across the country will soon see Army pride as Soldiers do their workouts. The APFU will come in two types, the Clothing Bag variant, and the Optional APFU, which will be visually the same as the APFU Issue variant, but uses some different materials. The individual items of the two variants can be mixed together. 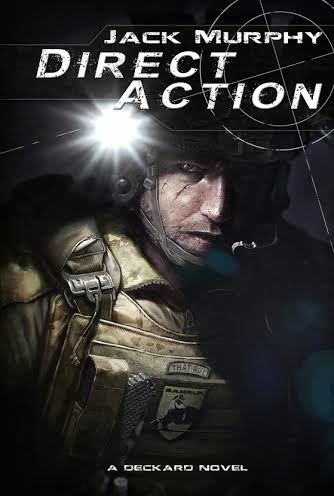 The Optional APFU variant will become available first when it arrives in Army military clothing sales stores sometime between October-December 2014. The Clothing Bag issue variant will be issued to Soldiers from the clothing initial issue points starting between April to June 2015, and to Reserve, National Guard, and Senior ROTC from July-August 2015. The APFU will be phased in as the IPFUs are used up and worn out. The mandatory wear date will go into effect approximately October 2017, or about three years after the APFU is introduced. In conclusion, Mortlock said the Army reached out to Soldiers at "multiple touch points to ensure we got this right. The message is we're listening to Soldiers. 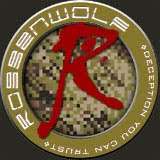 We're continuing to listen to Soldiers, and this is the Soldiers' selection and Army leaders went along with this."